Shivam and Shivangi wanted a relaxing honeymoon after their busy wedding, and the Nora Buri Resort & Spa in Koh Samui offered a paradisiacal escape. White sand, rustic beach shacks, a hammock gently swaying between two palm trees as a turquoise sea laps at the shore; there are few places on the planet that can match Koh Samui’s serenity. The warm, welcoming destination offers visitors unparalleled natural beauty as well as the opportunity to explore. 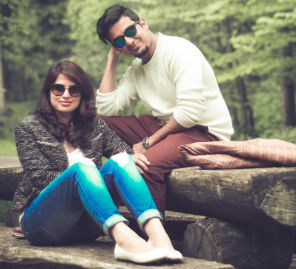 Dreaming of candlelit dinners and hours by the beach, Shivam and Shivangi decided this was the honeymoon paradise for them. Isolated from the rest of the world, Koh Samui offered the couple a taste of heaven. From sun-seeking walks around the beach, dozing in a hammock, feasting on delicious cuisine, or discovering wellness in an exclusive spa, Shivam and Shivangi did it all.